Forged Coffee Roasting Company is the culmination of a life long obsession and celebration of coffee. During forging, great heat is applied to iron and through the hammering process, this raw material becomes a stronger, sharper version of itself. Similarly, in the process of coffee roasting we apply heat to raw material to transform it, creating something stronger, sharper, more than what it was. At times it seems like a dark art, a practice of alchemy or magick, or some other mystical process that yields this glorious, life giving, drink. Or maybe we've just had too much coffee before writing this. Either way, that first cup in the morning sure seems magickal. 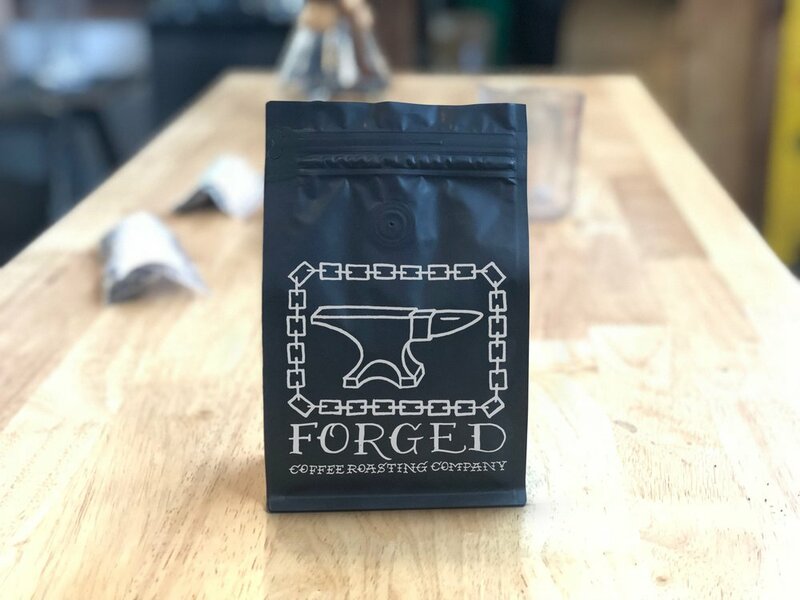 At forged, every small batch is roasted by hand with the goal of bringing each individual coffee to it's best expression. All coffees are selected with an eye towards sustainability, uncovering unique flavor attributes and, always, honoring our producers. Thank you for allowing us this opportunity to share and celebrate something so special and profound.